The Sculptor showed up on my doorstep, from the publisher, and honestly I didn’t know what to make of it. I have never reviewed a graphic novel. The last one I read was Persepolis by Marjane Satrapi back in 2008. Needless to say I was skeptical, but I shouldn’t have been! 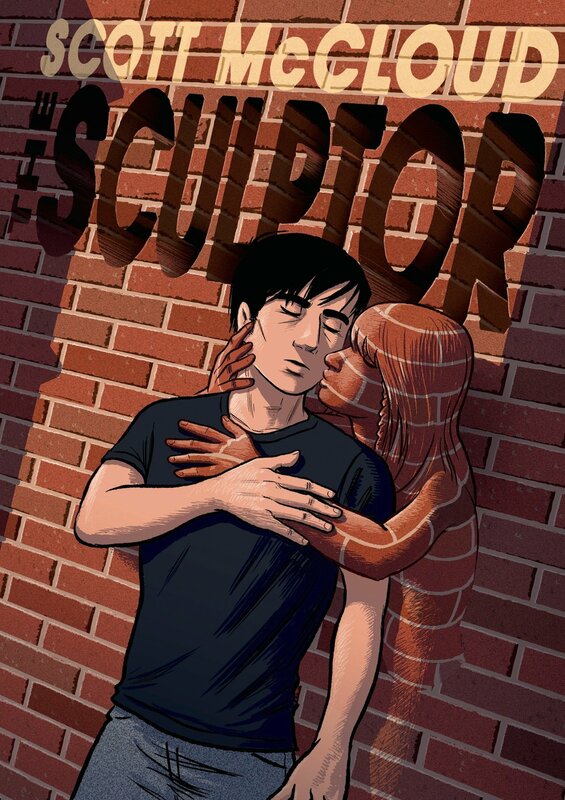 The Sculptor is a interesting, well rounded story, with the added bonus of wonderful art. The Sculptor is about David Smith, a formerly famous sculptor, who trades his life for his art. This graphic novel follows David’s struggle to survive in New York, his difficulty in creating sculptors that find commercial success, and him finding love in the year he has left. Initially, I had a hard time relating to David, he was so focused on his sculptor’s that everything else was pushed to the back. He ignored the few friends he had and treated them poorly. I did feel bad for the guy though; he lost his apartment and was wandering the streets before Meg entered his life. It was Meg that became his muse and forced him to look outside of himself, despite her own problems. I was honestly surprised by how deep and introspective The Sculptor was. I expected something lighter and instead discovered this great story about art, the creative process, living and dying in New York. This would have been a story I enjoyed if it hadn’t been a graphic novel. The fact that McCloud’s art was lovely was an added bonus. I especially liked seeing what David’s sculptors looked it. Overall, The Sculptor was a wonderful read. I appreciated its depth and beautiful artwork. I’m looking forward to reading more of McCloud’s work. *Quick note to my YA readers: This is a review for an adult book.